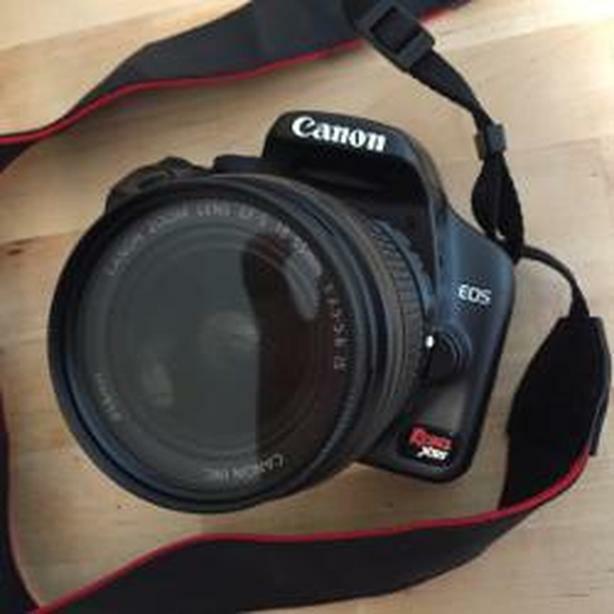 DSLR with lens and accessories. Lens is autofocus EF-S (15-55 mm). Terrific shape, lightly used. Comes with a camera case, an extra battery pack (for 2x batteries total), battery charger, 2GB SD card, USB cable, AV cable, and protective UV filter (can send photo of all accessories upon request).